Audi India has finally launched its most awaited car model new Audi A6 in India today. The launching ceremony of the New Audi A6 is organized at Leisure Valley, in Gurgaon. The occasion is constantly under media observations and a big list of high profile guests are present making the aura of the event more charismatic. New Audi A6 is available in two diesel variants an two petrol variants. New Audi A6 2.8 FSI price for the petrol variant is tagged at Rs. 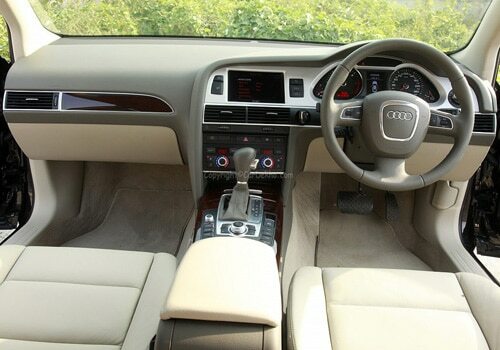 39.90 Lakhs, Audi A6 3.0 TFSI Quattro price for the petrol variant is around Rs. 47.00 Lakhs, on the other hand the Audi A6 2.0 TDI price for the diesel variant is tagged at Rs. 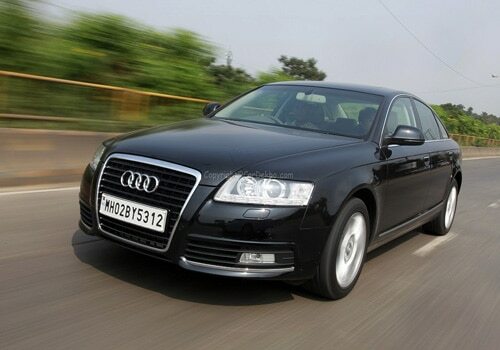 37.70 Lakhs and finally the Audi A6 3.0 TDI Quattro price for the diesel variant is around Rs. 46.95 Lakhs(ex-showroom New-Delhi). The new Audi A6 is a sedan car with many features and exotic looks. The headlights of Audi A6 appears more bolder. Talking about the interiors, the dashboard is enhanced for better comfort and space and the steering wheel is also modified. New Audi A6 will also have an optional air-suspension which can be set according to the driving adjustments. The center console, as in many other cars, is inclined towards the drive. MMI, the information and entertainment system will be equipped in the higher variants of new Audi A6 except the base variant. The exteriors have been given a bolder look to break the consistency of the boring similar looks of the previous Audi cars. Audi India has plans to bring a new hybrid-electric version of the Audi A6 in 2012 which will have a similar powertrain with that of the Audi Q5 Hybrid. The luxury cars putting on tough competition over the New Audi A6 will be the Mercedes-Benz E-Class and the BMW 5-Series. Although, Audi India need not to worry as it still has a considerable market share in the Indian Market.